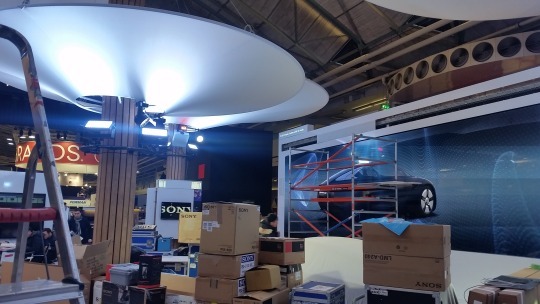 Sony exhibited at the huge Integrated Systems Europe 2017 show in Amsterdam in February this year, where you could see their new CLEDIS large-scale display system. This video had a tight deadline so required a simple, effective idea instead of something more complex. 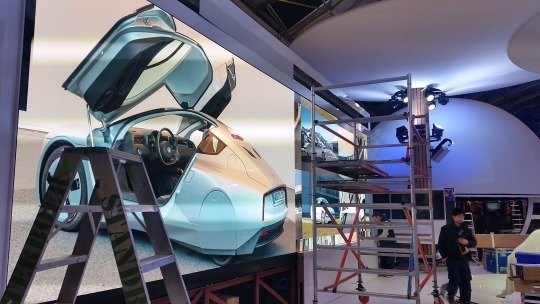 We went with a grid-based slideshow where I was able to drop in a selection of images of a Volkswagen concept car, the car itself was on show in the exhibition space. I took the images above on the day of set-up, hence the scaffolding that’s in the way..!